Transformers 4 producer Lorenzo di Bonaventura has confirmed that the Dinobots are in the movie. This was already revealed through various leaks but always nice to get official confirmation. In an interview with the Beijing News (translation via TFW2005) he spoke about the Dinobots and said that TF4 action would take place in possibly 4 Chinese cities. "In China we have chosen Beijing and Hong Kong, as well as two more cities we are looking at." 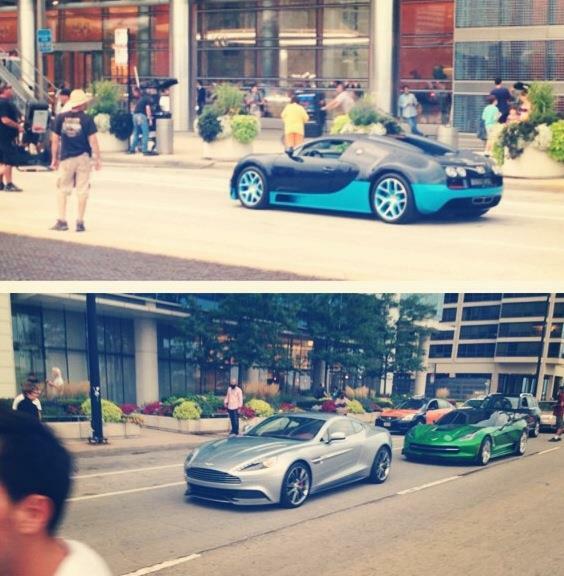 In addition to new concept cars was spotted on the TF4 set in Chicago this weekend. 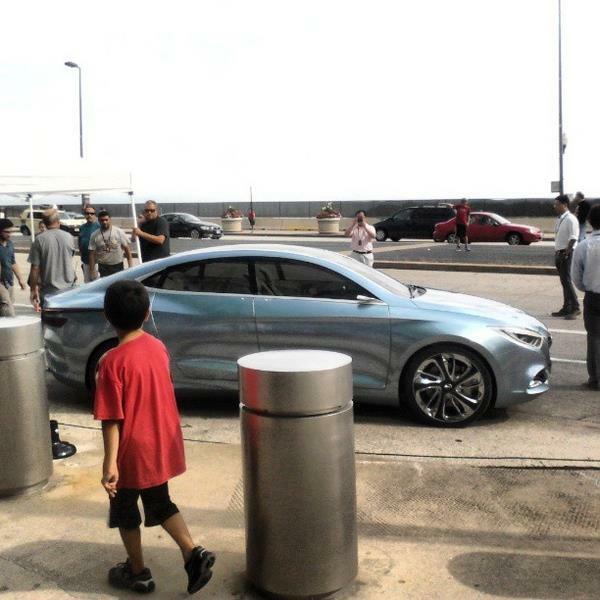 One is a silver 201? Aston Martin Vanquish (below pics) while the other is a white 2014 China Concept E-Jet (above). 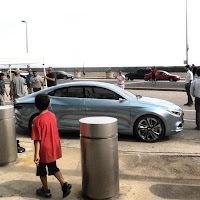 Its unknown if they are Transformer alt modes but it seems likely they are, especially the E-Jet as I suspect China would insist on it as part of the "cooperation agreement". 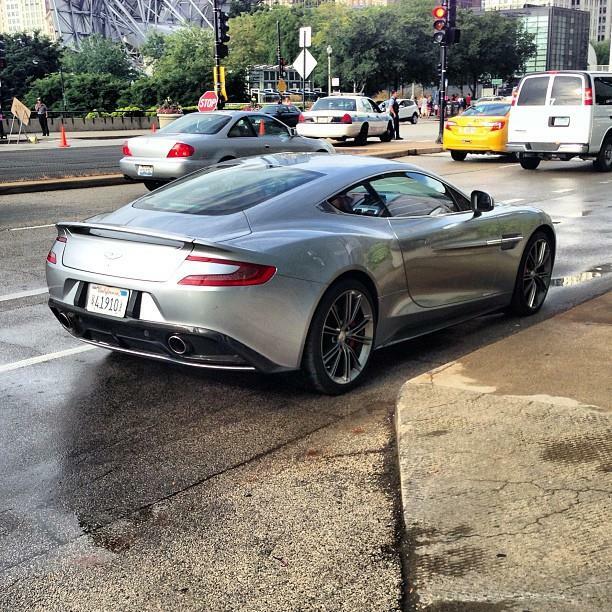 Unless it was a pre-production car, it should be a 2013 Aston Martin Vanquish.